Has the tide turned on coastal growth? There is no doubt that Australians love the coast – we’re either on holiday there, socialising there and increasing numbers of us are living there. There is a strong sense in the community that coastal regions are recording some of the strongest population growth rates in the country. But are they? One of the more intriguing population trends in the last few years has been an apparent slow down in coastal population growth. 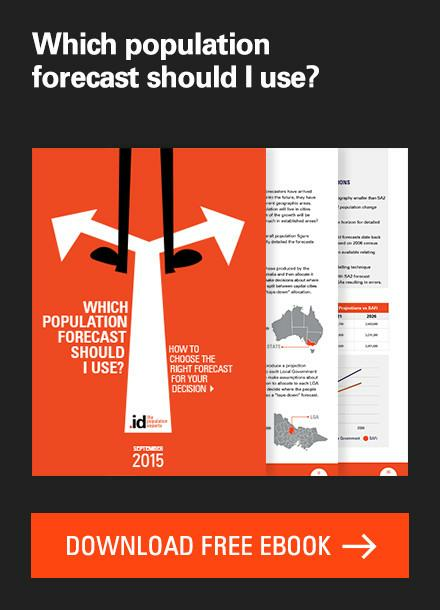 .id prepares population forecasts for a large number of coastal LGAs in NSW and Victoria, and our team have had a strong sense that the level of growth is tapering off compared to the late 20th century. Let’s have a closer look at the most recent trends. The table below shows the total growth of coastal LGAs in Australia’s States and Territories – excluding Canberra of course as it does not have a coastline. Specifically, growth over the intercensal periods 2001-06 and 2006-11 are compared. Coastal LGAs are defined here as those LGAs outside Greater Capital City Statistical Areas that border the coast line. Using LGAs as the geographic basis for this analysis does throw up a few anomalies, especially in Western Australia where some extend a fair distance inland. However, even in these LGAs most of the major settlements are on or near the coast, hence presumably the bulk of population change. * Australian figure for total growth includes the ACT. While the annual average population growth rate for Australia was slightly higher at 1.5% between 2006-2011 when compared to 2001-06 (1.3%), the trend for coastal LGAs stood in contrast. Between 2001-06, coastal LGAs as a whole grew by 1.7% per annum on average, and this dropped to 1.2% between 2006-11. The decline was particularly stark in Queensland where the equivalent figures were 3.0% and 1.6% ie the growth rate almost halved. In South Australia the growth rate for coastal LGAs did halve, albeit from a lower level – from 1.0% to 0.5%, while the growth rates for NSW and Victoria recorded a small decline. In contrast to the eastern States, coastal LGAs in Western Australia recorded a strong increase in population growth, from 1.5% per annum in 2001-06, to 2.6% per annum in 2006-11. 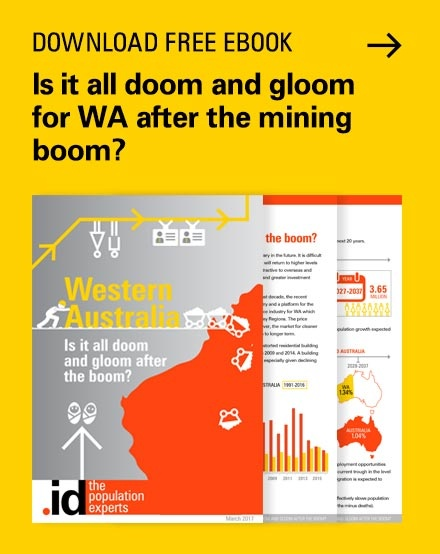 A lot of this increase was due to the rapid growth in the north of the State, associated with the mining boom. Despite the existence of a significant fly in, fly out workforce, it is clear that the permanent population is growing rapidly in this part of the country. In fact, five of the fastest growing LGAs in the country where located in northern Western Australia. Where are the fast growing coastal LGAs? The map below (click for a larger version) shows the coastal LGAs in Australia that recorded above average growth between 2006 and 2011, ie that grew by 1.2% or more. Clearly, there is a concentration of these LGAs across northern Australia. 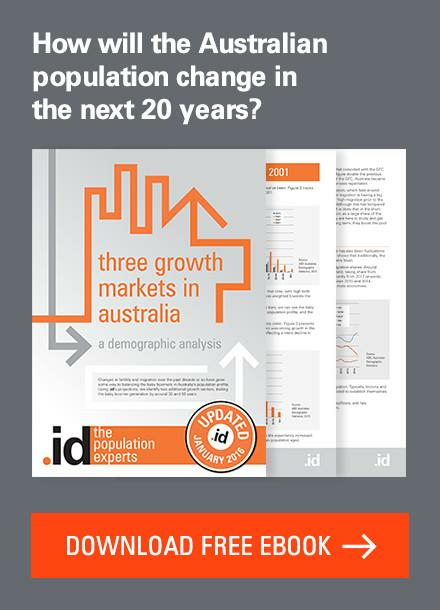 Many people associated population growth in coastal areas with in-migration of retirees, but the reality is that Australia has a vast and diverse coastline and there are a number of drivers behind population growth. Economic reasons would appear to be paramount in the northern part of Western Australia – in fact, this is not a retirement destination as there are very few elderly people in the population – see the age structure of Roebourne in this blog as an example. However in the Northern Territory and Queensland it was the smaller, remote Aboriginal communities that recorded the fastest growth rates. Though they do have small populations, fertility rates amongst Australia’s Indigenous communities are significantly higher than the population as a whole and this of course contributes to stronger growth. Many people associate coastal growth with retirement migration but the evidence suggests it is not the only factor influencing the growth of coastal communities. Some regions in Queensland that have been retirement destinations for many decades are still growing strongly eg Gold Coast, Sunshine Coast and Fraser Coast, it’s just that the rate and volume of growth slowed considerably over the last five years. 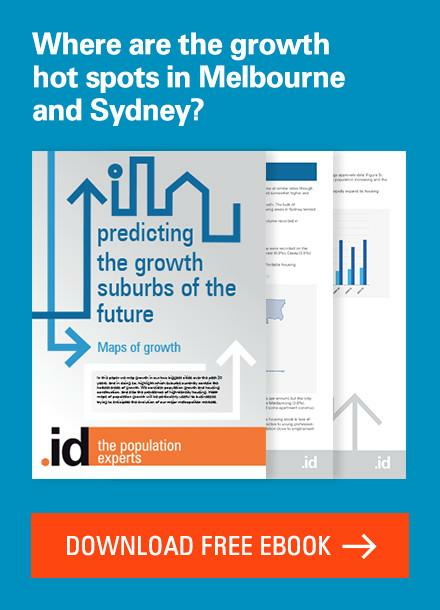 The Gold Coast and Sunshine Coast are urban conurbations in their own right, and while retirement migration may play a role, there are also an additional set of economic and social drivers, as well as internal momentum, that contribution to population growth and change. 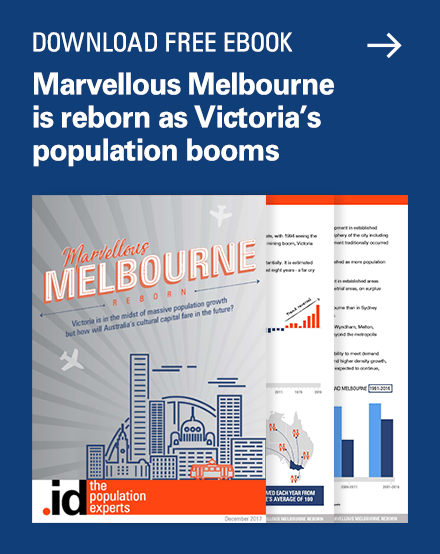 Victoria’s “coasts” ie Bass Coast and Surf Coast, long favoured retirement and holiday destinations, both recorded an increase in population growth in 2006-11. In the case of Surf Coast, the annual average growth rate between 2001-06 was 1.8%, but this increased to 3.0% between 2006-11. Surf Coast is increasingly become part of the wider Geelong urban region and its drivers of growth are evolving from retirement and amenity led migration to characteristics that are becoming reminiscent of outer suburban growth suburbs. In NSW that coastal growth appears to have tapered off considerably. Between 2006-11, only two coastal LGAs grew above the average – Tweed and Port Stephens at 1.3% and 1.2% respectively on a per annum basis. The decline was sharper in Tweed – its growth rate between 2001-06 was 2.2% per annum. Several LGAs that recorded strong growth between 2001-06 slowed considerably between 2006-11, particuarly on the lower south coast. Eurobodalla Shire grew by 1.5% between 2001-06, but by just 0.2% between 2006-11. In terms of volume, only 408 people were added to Eurobodalla’s population between 2006-11, compared to 2,639 between 2001-06 – about one-sixth the volume in the 2001-06 period! It is also worth noting that between 2001-06 no coastal LGAs in NSW lost population, but Bellingen, located on the north coast, recorded a small decline between 2006-11. Coastal LGAs are still growing, but as a demographer I find this slow down in growth intriguing. There is a large cohort of the Australian population moving into retirement and like other commentators have suggested in the past, I would have expected that this would have an impact on retirement migration to coastal communities. Certainly there are still retirement destinations growing strongly in Victoria, the Fleurieu Peninsula in South Australia, and the south west of Western Australia, but this no longer appears to be the case in NSW. The pull factors are still there – the NSW coast has high amenity values and a great climate – so what other factors are at play? Has the demand shifted elsewhere? Is it too expensive to move? Are people delaying retirement in the wake of the GFC? Any insights would be appreciated! 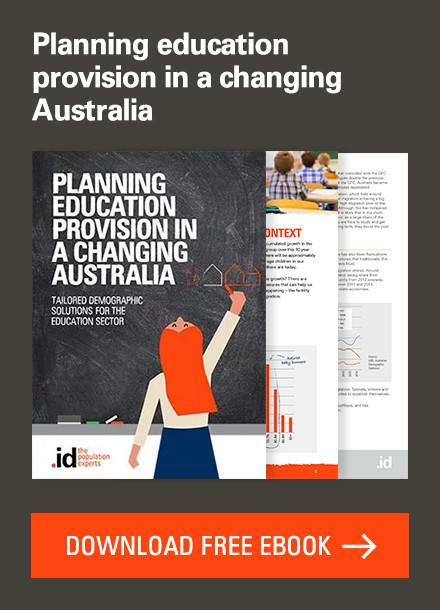 Access the new profile.id sites and other population statistics for Australia, States, Capital Cities, Local Government Areas and suburbs at .id’s demographic resource centre. Interesting observations Simone. 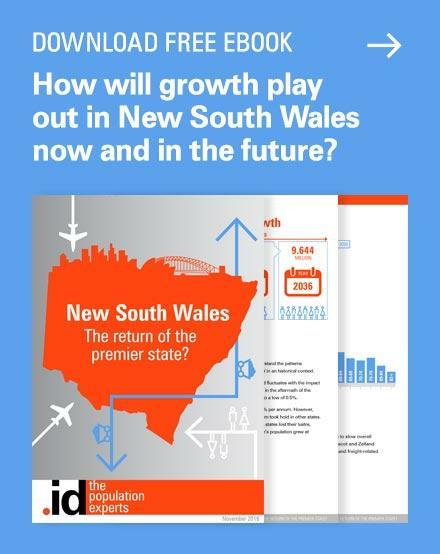 Could housing constraints on NSW’s mid north coast be playing a role at all? Similarly, as the research only analyses total growth (not disaggregated by age) – could the out-migration of youth / young adults have been off-setting the in-migration of retirees? I think there’s an element of truth to what you’ve written, but as with all things demographic there are a complex set of factors involved. 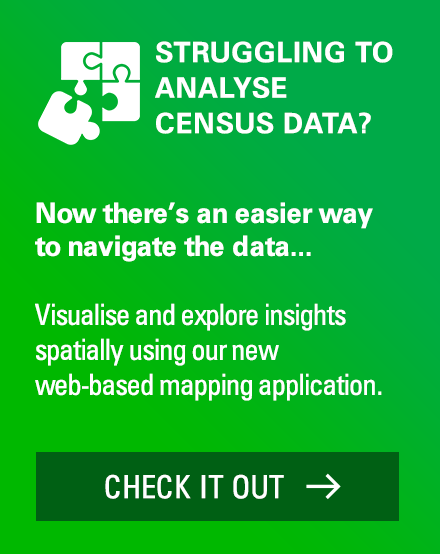 The migration data from the Census was released today (Oct 30th) so we’ll have the evidence base with respect to the age specific patterns. I also think that people might be delaying their retirement on account of diminished value of superannuation, so this obviously impacts on the opportunity to move, let alone invest in real estate. I will have a look at some of these issues in future blogs – thanks heaps for your interest!